What is soap2GO Shampoo Sheets all about? They're a backpacker's best friend, a camper's dream come true and a lifesaver for out and about parents. The soap2GO Paper Soap range of personal products is perfect for anyone who wants to travel light and be prepared. No more bulky bottles of shampoo to leak all through your suitcase. 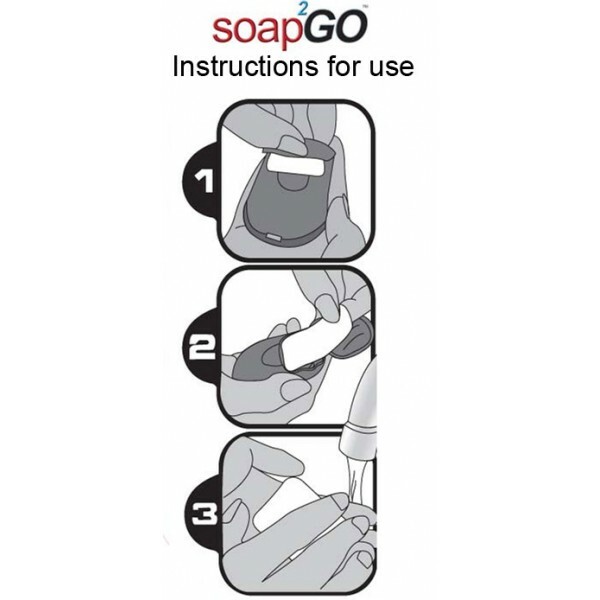 Soap2GO Shampoo is a pack of single dissolvable sheets (each pack contains 30) that give you just the amount you need. Compact, convenient and easy to use it comes in a great fresh scent and can even be used in sea water! 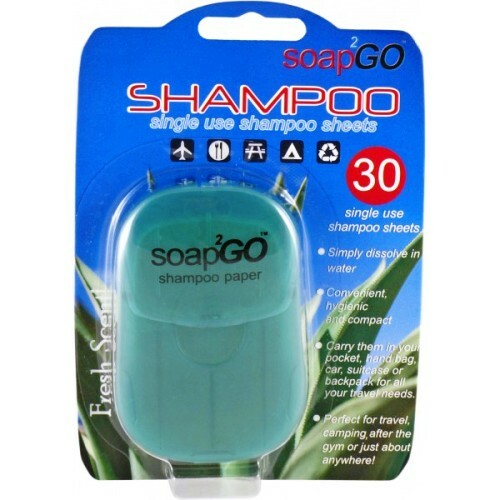 Soap2Go Shampoo is a 30 pack of dissolvable sheets that give you just the amount you need. Shampoo is biodegradable, hygienic and fragranced with a great ocean fresh scent. Take to the gym, after the beach, or slip in to your handbag, pocket or glove box for that unexpected stay over.... soap2GO - sheets ahead for the smart traveller!